Off the southern coast of Martnique is Diamond Rock. 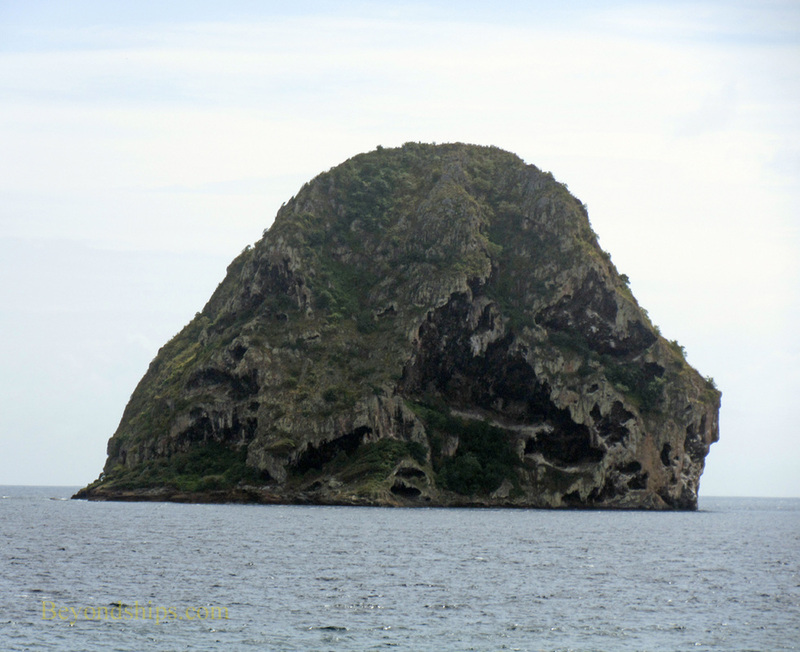 The remains of a volcanic plug, rising almost vertically from the sea, Diamond Rock gets its name from its gem-like shape and the fact that in certain lights, the Rock appears to glitter. However, while Diamond Rock is geologically interesting, it is best known for its unusual history. During the Napoleonic Wars, a small British naval squadron took up station in the waters around Martinique, harassing French warships, privateers and merchant ships. In 1803, the squadron's commodore ordered that cannons be placed on Diamond Rock. 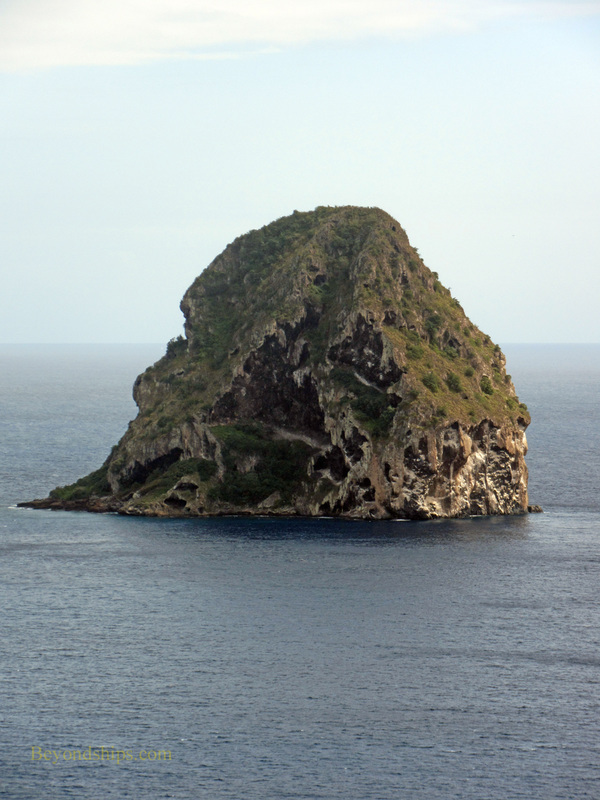 The Rock lies in a strategic position in the straits between St. Lucia and Martinique and because of the height of the rock, cannons placed there could not only command the straits but also fire upon ships entering and leaving Fort de France. The stone frigate was very successful. For 17 months, the French made various attempts to capture the island but the British were able to drive them off. Finally, Napoleon sent a fleet to do battle with the Rock. The French set up a blockade and were able to put a landing party ashore. However, the attackers could not scale the vertical sides of the Rock. The British did not surrender until they were almost out of water, food and ammunition. Britain still views the Rock as being part of the Royal Navy and so all Royal Navy ships passing the Rock are required to accord it appropriate honors.